What Is the Difference Between Fluke & Flounder? 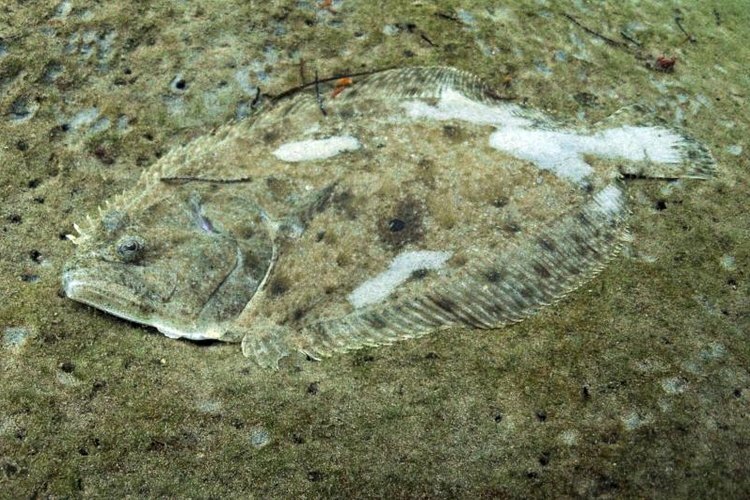 Camouflage flounder laying on the sand. Flukes and flounders are two different bottom-dwelling flatfish that inhabit the North Atlantic Ocean. Although they look similar at first glance, you can distinguish between the two by noting which side of their body bears the eyes. Flukes have eyes on the left side of their bodies, while flounders have eyes on the right side of their bodies. Eye position is the easiest way to distinguish flukes from flounders, but you also can examine their mouths. Flounders have very small mouths, while flukes have large mouths with numerous sharp teeth. Additionally, while a fluke’s mouth extends farther than its eyes do, the mouths of flounders do not. Flukes also are called summer flounders, because they are commonly caught in warm months of the year. Conversely, flounders are called winter flounders because they are more commonly caught in the winter. Beach Chair Scientist: What Is the Difference Between a Summer and Winter Flounder?